Shri Jagannath Temple in Hyderabad District in Telangana, Shri Jagannath Temple Hyderabad, Shri Jagannath Temple Hyderabad Timings, Shri Jagannath Temple Hyderabad Entry Fee: Shri Jagannath Temple is a temple in Hyderabad dedicated to Lord Jagannath. This is a modern temple which has been constructed by Odia community in Hyderabad. Lord Jagannath is a Hindu God and many people worship him with all their devotion and respect. Shri Jagannath Temple is situated near Banjara Hills. Every year lakhs and crores of people gather for Jagannath Rath Yatra near this Shri Jagannath Temple in Hyderabad. This Rath Yatra is arranged every year for the devotee of Lord Jagannath. In our article, Shri Jagannath Temple in Hyderabad District in Telangana we will describe this Lord Jagannath Temple in detail. Also, you can check about Chilkur Balaji Temple in Hyderabad District in Telangana. As we all find peace and mental stability in the temples. The main Jagannath Temple is situated in Puri. 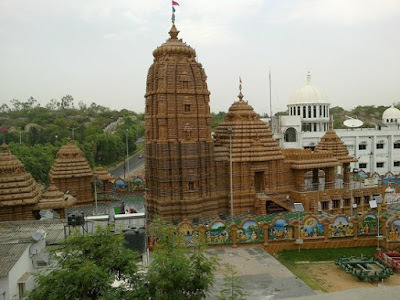 Many people say that this Jagannath Temple in Hyderabad is a replica of Jagannath temple in Puri in respect to design. Both Jagannath temple is having the same design. The top portion of the temple is around 70 ft. high and it is known as "Sikhara". This looks mesmerizing and many people and tourist use to click a picture of the Sikhara. This temple has a lot of idols of God like Lord Shiva, Goddess Lakshmi, Lord Ganesh, Lord Hanuman, Navagrahas, etc. including the main idol of Lord Jagannath. 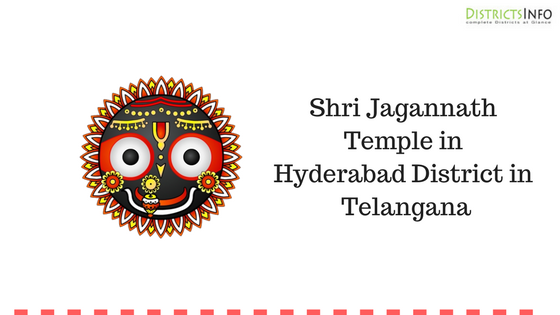 So in our article, Shri Jagannath Temple in Hyderabad District in Telangana you can have all the relevant details about Shri Jagannath temple in Hyderabad. Also, you can check the Wikipedia for more information about this Jagannath Temple. * Shri Jagannath temple is situated in Hyderabad near Banjara hills. 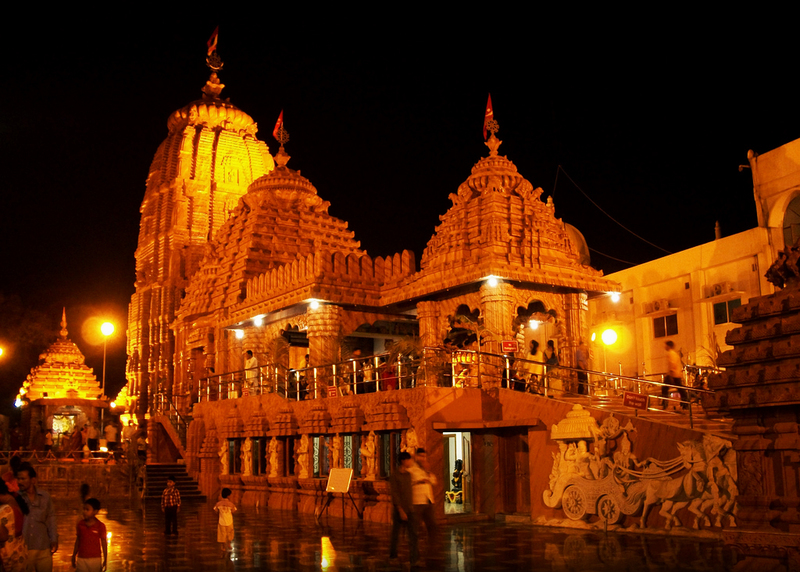 * The temple is dedicated to Lord Krishna who is a descendant of Lord Vishnu. Also, there are idols of many other gods. * The temple was constructed completely in 2009 and was opened publicly. * This temple is a replica of Jagannath temple in Puri in respect to design. The main attraction is the top part of the temple which is also called as "Sikhara". The height of the Sikhara is around 70 ft.
* Many people and devotees of Lord Jagannath gather around these temples for Jagannath Rath Yatra every year. * Shri Jagannath temple is around 10 km away from Hyderabad city and you can other transport to reach the temple easily. * The nearest temples and tourist places from Shri Jagannath Temple are Birla Mandir(4.7 km), Peddamma Temple(2.8 km), Golkonda Fort(4.3 km), etc. * The nearest airport is in Hyderabad only i.e 35 km away from the temple. So from airport, you can easily get a cab or bus to the temple. * People can easily reach to Hyderabad by trains as you can easily get a train from every station in India to Hyderabad or else you will get a connecting train. From Nampally station in Hyderabad, the temple is around 6-7 km away. * Government of Telangana is running a large number of buses all across the state. The nearest bus stop is Mahatma Gandhi Bus Stop which is around 7.5 km away from the temple. But you can easily get a cab, bus, or auto, etc. So this is all about Shri Jagannath Temple in Hyderabad District in Telangana. Also, you can check about Shri Jagannath Temple Hyderabad, Shri Jagannath Temple Hyderabad Timings, Shri Jagannath Temple Hyderabad Entry Fee. Check all the temples and Tourists Spots in Hyderabad in Detail.